FLORIANOPOLIS, Brazil (AP) — A proposal to create a whale sanctuary in the South Atlantic was defeated Tuesday at a meeting in Brazil of the International Whaling Commission, amid a clash between countries that think whales can be hunted sustainably and others that want more conservation measures. 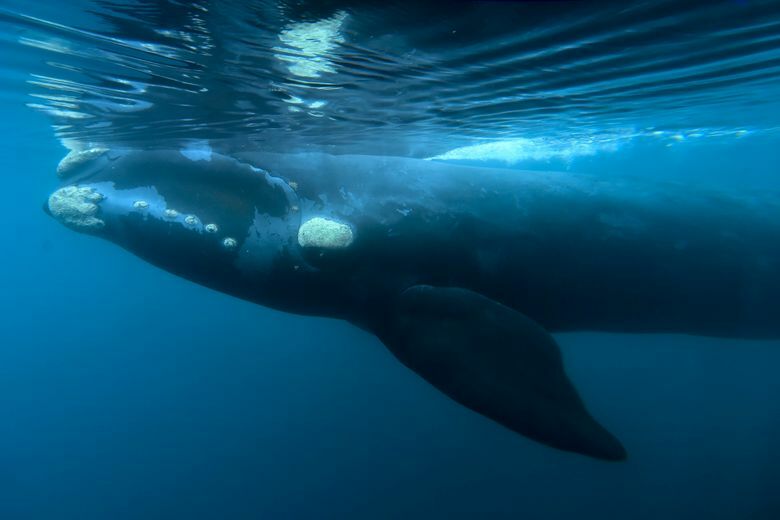 Opponents of the plan argued the science didn’t support the case for a sanctuary and said that it wasn’t necessary because there isn’t any commercial whaling occurring in the South Atlantic. The measure received support from 39 countries Tuesday at the meeting in Florianopolis with 25 opposed — falling short of the three-quarters majority to pass. Countries like Brazil, which proposed the measure, said it would have addressed threats to the mammals beyond whaling. Humane Society International called the defeat a “bitter disappointment” and said it would have helped protect whales from entanglement in fishing gear and ship strikes. Edson Duarte, Brazil’s environment minister, said he would not be deterred, even though the measure which has repeatedly been defeated. But some have suggested that the conservation bloc won’t be able to push through such measures until they compromise with those countries that are asking for the return of at least some commercial whaling. The commission banned commercial whaling in the 1980s, but Japan is proposing this year to reinstitute it with catch limits. Japan has hunted whales for centuries as a traditionally cheaper alternative source of protein. Joseph said sustainable commercial whaling could provide an important food source in developing island nations, and other countries simply have a cultural preference for whale meat that should be respected. Conservationists say commercial hunting has proved difficult to manage in the past and repeatedly threatened whale populations, while some countries say there is simply no place for it in the modern world. But Joseph predicted progress on many conservation measures would remain deadlocked until more overtures were made to countries that want commercial whaling. Several indigenous people also spoke Tuesday in favor of their own subsistence hunting, which is allowed under commission rules. Catch limits for such hunting are up for renewal this year. Associated Press video journalist Mario Lobao contributed to this report.